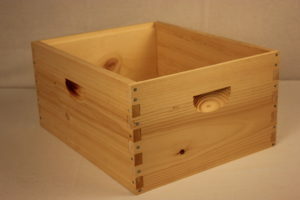 Pine 8-frame hive body . 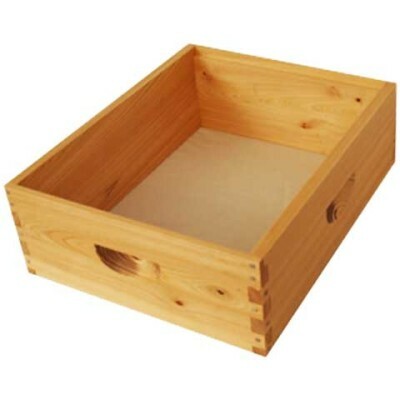 Our woodenware is manufactured from hand selected Pine. 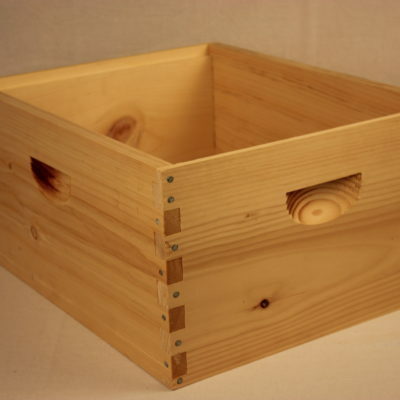 All our hive bodies have pre-drilled finger joints holes for nails to prevent splitting during assembly. Handholds are cut for easy gripping. Frame Rests provides the proper Bee Space. assembled.